The IRS gives people a lot of leverage if a person is not paying or filing their own income taxes. Historically, they are slow in identifying it and even slow in reacting to it. However, when it comes to payroll taxes, the IRS is not so cool with it. They’ll be agile in getting all over the business and the people who might be responsible. They will put locks on the business gates and seize the assets rather than letting you avoid payroll taxes again. Being indebted to the IRS isn’t like not paying a credit card bill or skipping a bank loan installment, the IRS has a lot of powers granted to them by the United States Federal Government. They can pull money out of your bank account. They can similarly get into your social security benefits, 401(k)’s, real estate, private property, your life insurance policy’s loan value, accounts receivable and commissions owed to you. All of this just to settle a tax debt. And if they find out that you did it all on purpose, they can put you in jail. So that makes it clear – there is a big difference in not paying/filing personal taxes compared to not paying/filing/depositing payroll taxes. What can the IRS do? If you fail to pay your payroll taxes, the IRS can close down your business without any prior permission from the court. And, as they hold multiple stakeholders personally responsible for the non-payment of payroll taxes, they might even seize personal assets that don’t even belong to the company. Payroll taxes aren’t even waived in the case of bankruptcy. And, in the worst case scenarios, if it is proven that you willingly avoided and evaded payroll taxes, it can easily land you in jail. As someone who could potentially face such charges, one should know whether they’d be considered ‘responsible’ by the IRS. If you sign paychecks, then there is a good chance that you’re on the list of subjects. In order to give a clearer picture, the IRS has a test that comes from two different approaches to determine your status of respondents. This doesn’t sound very comprehensive and, indeed, this is the case for a reason. 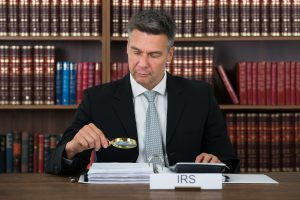 The IRS has made it pretty easy for themselves to label someone as responsible and sometimes even employees who have little to do with the payroll are subject to IRS prosecution. Why does the IRS take this Issue so Seriously? This question pops into the minds of many people and the answer is because the payroll taxes are not actually your business’ taxes. They are the taxes owed by the employee to the federal government. So, when you’re taking these taxes from your employee’s salary and failing to forward them to the federal government, it is considered theft from the viewpoint of the IRS. Looking at it ethically, not forwarding the payroll tax is something that deters the FICA and it equates to taking money that doesn’t belong to you. Why does the IRS want to close you down? This answer is simple. If you avoid paying payroll taxes, the IRS does not trust your business. They are only trying their best to eliminate the possibility of the payroll tax problem getting bigger. So, when the IRS eyes your business for a payroll audit and they find it to be incorrect, they already want to close you down. It is quicker for them to do so if they get the owed tax money by liquidating your assets rather than getting money from the responsible parties. Additionally, if the IRS Revenue Officer were to agree to a payment plan and the debt gets worse, its an even more embarrassing situation for the Revenue Officer, since they were “duped” into agreeing to a plan. Again, it’s easier for them to just shut the business down. In order to avoid all of this, it is recommended that you get the services of a certified Tax professional or attorney. And, most importantly, pay those payroll taxes.